Sand is a naturally occurring granular material composed of finely broken down rock and minerals. It can be washed, screened and defined by size, ranging from finer than gravel to coarser than silt. 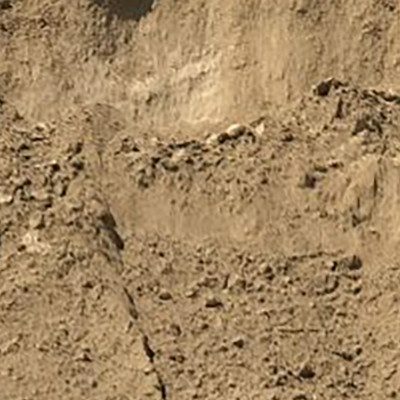 Cushion Sand is a general purpose material that is derived from river or ocean banks and has not been screened or processed. It is beige to yellow in color and can occasionally contain small amounts of clay or sandstones. It is used as a base material for leveling new concrete and by utility and electrical contractors for securing embedded pipe and conduits. This can also be mixed with bedding soil. Concrete Sand is a coarse sand that is washed and screened to ensure there are no large rocks within the material. It is primarily used as a key ingredient in the formation of concrete but can also be used to embed underground pipes or as a leveling base for concrete walkways or slabs. Masonry Sand is a versatile, all-purpose form that is washed and screened at a finer size than concrete sand. It can be used as an ingredient in concrete to create a smoother finish, an affordable replacement for playground or volleyball court sand, landscaping projects, beneath above ground pool liners, base material for brick pavers and stepping stones and practically any project that does not require a different type of material. Get a quick materials estimate for your project’s needs. DESIGNED BY METAMEDIA CREATIVE CO.